11 L x 5 3/4 H 2 3/4 D in. 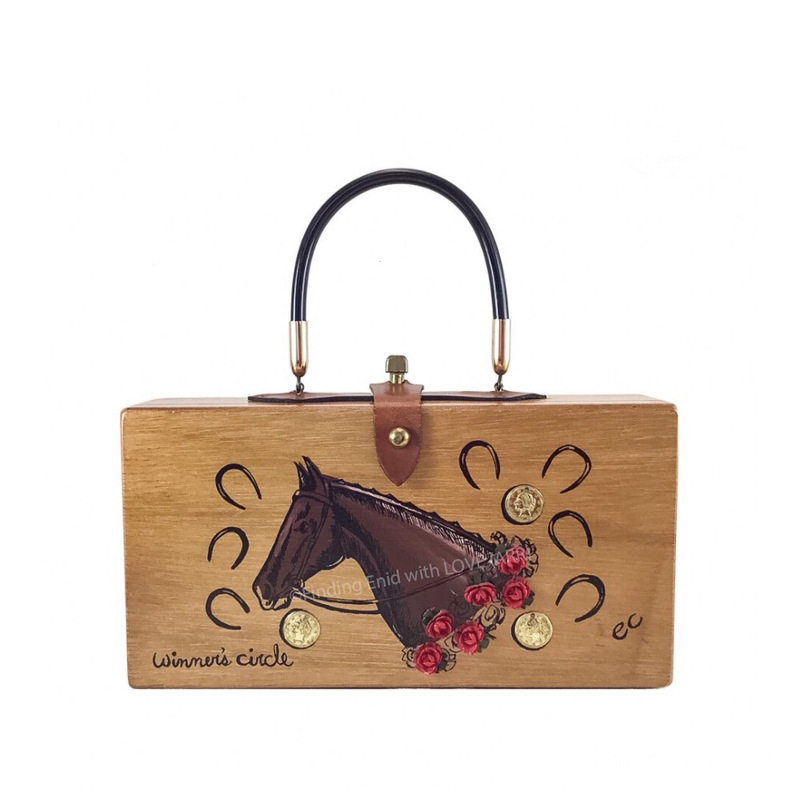 Full-color screen printed box bag depicting the head and neck of a horse wearing a garland of appliquéd red satin roses. Background surrounds the figure with black-printed horseshoes and faux-gold coins, a reference to Collins's popular "money" themes including "money tree" and "money to burn." One of several designs featuring horses. From Collins of Texas advertising and promotion materials: "A deep tradition, a spectacular garland of red roses is triumphantly draped over the Kentucky Derby winning thoroughbred at the Winner's Circle."